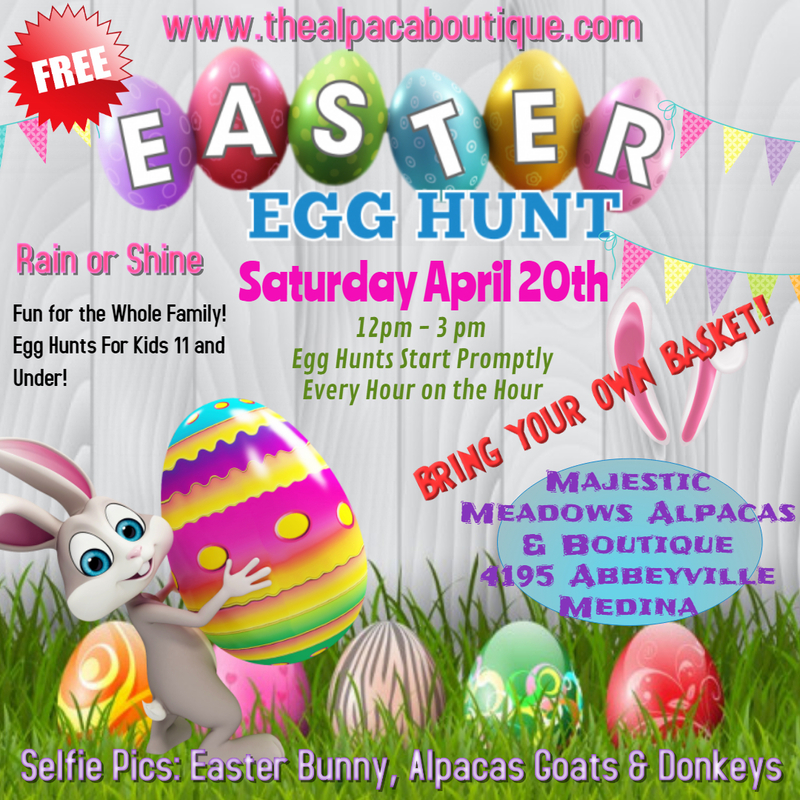 Come join us on Saturday, April 20, 2019, for our 1st Annual Easter Egg Hunt with Alpacas, Goats & Mini Donkeys at Majestic Meadows Alpacas & Boutique (4195 Abbeyville Road, Medina, Ohio)! Rain or Shine! Free Fun for the Whole Family. 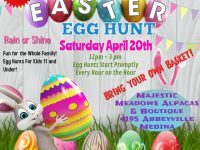 Special Guest Appearance by “Bobby the Easter Bunny” throughout the day as well as Easter Egg Hunts for Kids 11 and Under! 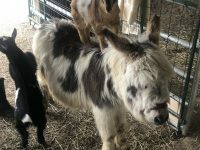 Bring Your Own Basket and Gather Up Some Fun-Filled Eggs as the Alpacas, Mini Donkeys & Goats welcome you to the farm! And don’t forget to bring your camera for lots of Easter bunny and family fun pictures throughout the day! The best part of all…it’s FREE fun for the whole family. Hope to see you all here! Details: Bring Your Own Basket! Easter Egg Hunts for Kids 11 and Under! Egg Hunts Start Promptly on the Hour Every Hour from 12 to 3! Lots of fun for the whole family! Come join us, bring your cameras, laugh, smile and create wonderful life-long memories. 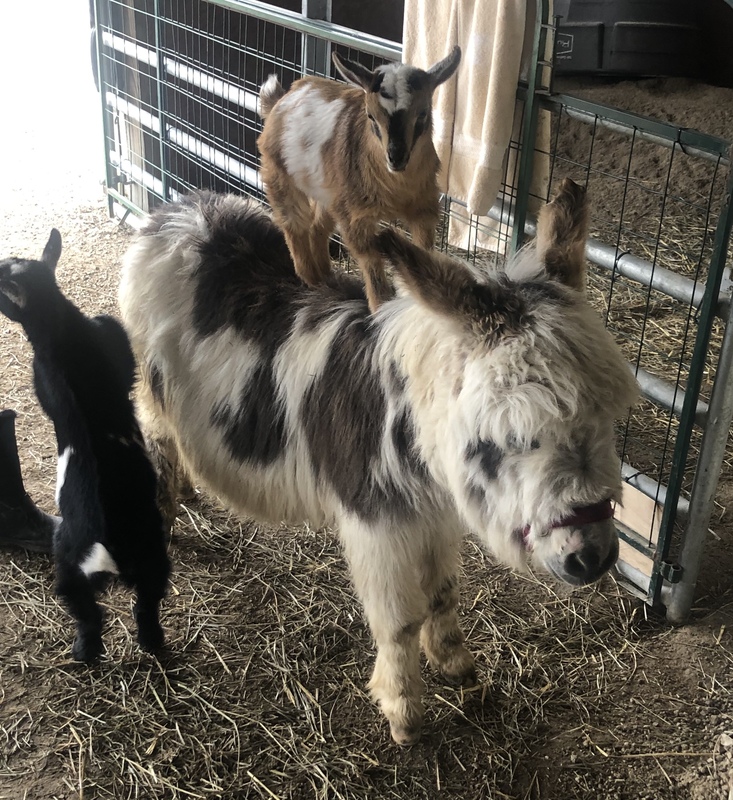 Take photos of yourself, your family, with the Easter Bunny…while the mini donkeys, the alpacas and baby goats photobomb your family photos!! 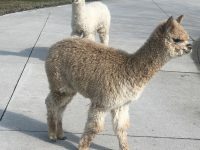 The Alpaca Boutique is open everyday from 10 to 6, including Easter Sunday! 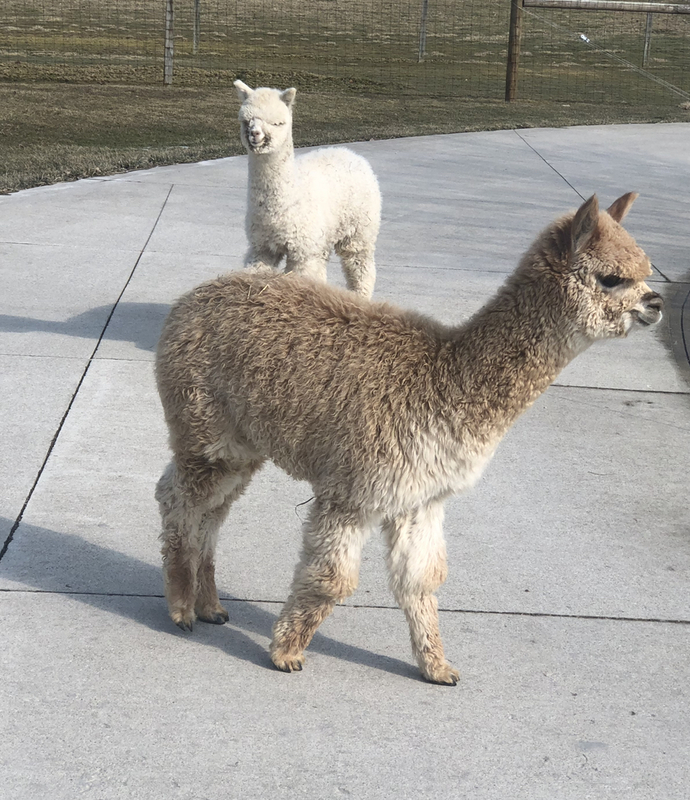 Stop in at The Alpaca Boutique and check out all of our unique alpaca themed gift ideas for all ages! Lots of fun Easter basket stuffers! !